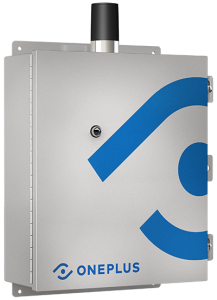 The UBi is the smartest and most widely deployed fill-level sensor in the world, today monitoring thousands of waste & recycling containers. The UBi fill-level sensor and OnePlus platform combine to optimize any manner of collection operation. The results are reduced operational costs, improved service, and greater environmental stewardship. Using the most advanced ultrasonic sensor technology and digital signaling processes, the UBi measures the fill-level of almost any liquid or material in multiple container types. Although small in size and light in weight, the UBi is rugged and proven in the harshest of environments. Stringent testing and IP66 packaging ensures a reliable and long lasting performance form each sensor. Communicating to the OnePlus platform through GPRS over GSM, the UBi has an internal antenna and sim card which report at configured intervals over both 2g and 3g networks globally. The UBi’s reliable and changeable battery offers up to 10 years of reporting depending on the number of reports required per day. UBi’s are deployed and operational in over 25 countries, with over 100 clients and monitoring up to a dozen material and liquid types. Hand held and weighing just .25 kg, the UBi is easily installed to containers with as few as one bolt, saving on deployment time and adding monitoring to your operation instantly. Using the most advanced ultrasonic sensor technology and digital signal processes, the OnePlus UBi measures the fill-level of almost any liquid or material in multiple container types. Reporting via cellular networks to the OnePlus platform, the UBi sensor enables collectors of waste, recyclables and many much more, to optimize their collections, reduce costs, and vastly improve customer service.